At European Prestige Car Care all your luxury cars are well taken care of, we provide maintenance and repair services for all types of luxury cars including Peugeot. We have a team of individuals who are especially involved in carrying out the task of car service Peugeot, they know the exact working mechanisms of this car and they are qualified enough to tackle any kind of big or small or issues regarding this vehicle. We know our Peugeot vehicles exceptionally well, you can have the complete confidence that when our services are done your luxury vehicle is going to be in excellent condition. Our car service Peugeot includes checking the car for any defects in various systems such as the brake and clutch, steering, suspension, alignment. Even the electrical systems of the car are thoroughly inspected during our process of analysis. Our team has been provided with the latest tools and equipment to carry out such tasks with ease and efficiency. We never compromise on quality when it comes to providing services to our clients and maybe that is why European Prestige Car Care is a trusted name in the Melbourne car servicing industry. We have been successful in assimilating a team of highly qualified and trained individuals. When it comes to luxury cars, Mercedes is an immensely popular and trusted brand. Although it costs almost a fortune to buy, it is completely worth it owing to the superior quality of engineering that has been invested in constructing it. If you own a Mercedes vehicle and looking for a premium quality car service, you can count on the experts at European Car Care Service. We are proud to say that we have a team of individuals who provide efficient and effective maintenance and repair services for all Mercedes models. When it comes to Mercedes maintenance service, we strive hard to ensure your complete satisfaction. From simple oil change to factory scheduled maintenance, our mechanics handle everything and treat your car with the utmost care it deserves. We know Mercedes vehicles from to bottom, and have the training to upkeep their performance. No matter what kind of repairs your Mercedes requires, our factory trained Mechanics inspect all the key components of your vehicle and perform necessary repairs, ensuring that your car is restored to its prime condition. With us, you will receive comprehensive services for your car. We do not just stick to one kind of routine maintenance service but we provide thorough services. We will not just stop at cleaning and routine maintenance but our team will check if all the essential systems of your car are working fine. If any minor or major changes or repairs are required, our team will provide you with the same. We are dedicated to giving you the best possible results and strive hard to make sure that you are happy with the final results. Our services are available to vehicle owners in Campbellfield, Epping, Craigieburn, Roxburgh Park, Broadmeadows, Meadow Heights, Broadmeadows, Morang, Greenvale and the surrounding suburbs. A BMW is a highly acclaimed and trusted name when it comes to cars, this brand is known for its superior built and unique driving features. But even such luxury cars need to be well taken care of to ensure the best results for clients. To make sure that your BMW is in an excellent condition always, you need to choose the car service BMW provided by European Prestige Car Care, with us you can be sure that nothing can ever go wrong with your car. We will make sure that while your car is being treated by us it is completely safe and is handled only by professional technicians who know these vehicles. Our car service BMW includes a thorough internal and external inspection of your car, our team of mechanics will carefully inspect your car and even the most minor defects, if found, will be brought to your notice. The routine maintenance service includes checking all the important aspects of the car like the acceleration, brake, oil etc. If required the repairs or refilling will be carried out by our team. We have in store the latest tools and equipment which will be used to the best of their ability to treat your car. You can have the assurance that when our team is done with their services on your BMW you will have the ultimate driving experience the next time you go out! We at European Prestige Car Care are well aware of the craze and adoration attached to the brand Audi. This car is the top choice of people owing to its high standard of engineering and comfortable features. But to assure that you enjoy driving this luxurious car at all times you have to make sure that you get it serviced at regular time intervals. To make sure that this prized possession of yours is in excellent working condition at all times you need to get it serviced at regular time intervals. And this the reason that we provide our clients with car service Audi, our services includes the complete inspection of your vehicle to check whether all of its essential parts are working in a safe manner. We have a special team of individuals who are versed with the working mechanism of this vehicle. 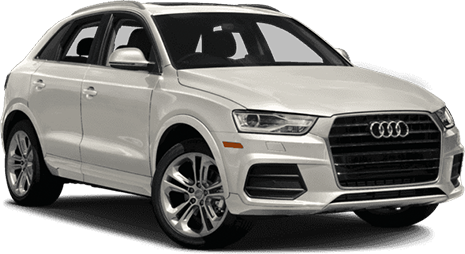 They know that Audi is a very distinct vehicle and needs to be handled with uttermost precision and care. They are professionals hence you can trust the team with your luxury ride, they will provide it with a complete and comprehensive service which will make sure that the next time you ride your Audi it will look and feel as good as new.